To provide you with greater audio immersion, the 50 mm Razer custom tuned drivers have been designed and tuned to deliver richer audio than ever before. 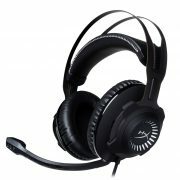 The unique sound signature of these impressive drivers produces crystal clear highs and rumbling lows that will put you in the middle of the action. 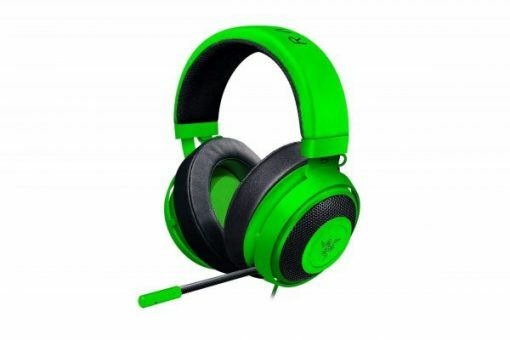 Optimum form has been an integral focus in the design of the Razer Kraken Pro V2. No matter how long your gaming sessions are, you’ll feel as comfortable as a pro. Made of Bauxite aluminum, the new and improved headband of the Razer Kraken Pro V2 is both lightweight and extremely flexible, so you get greater durability, without sacrificing comfort. To meet the demands of eSports athletes and the top gamers today, the Razer Kraken Pro V2 brings a whole new slew of updates. Larger 50mm audio drivers deliver richer sounds that is perfectly balanced between in-game audio and team communications. Redesigned ergonomics including an all-new unibody aluminum frame, ensure maximum comfort and extended durability.